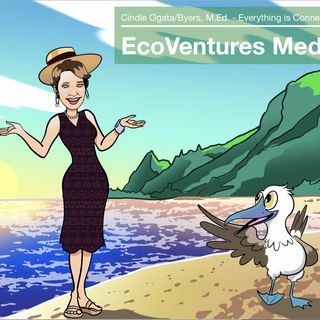 This episode of EcoVentures Radio delves into more arrt and education while finding out what happens to propel artists and every day people into their true selves after near death experiences. Plus a revisit with Michael "Mike" Chlala. Uber Driver Conversations (Everyday Heroes) and Danielle Zirk, international artist and making waves from Atlantic to Pacific! Take an EcoVenture from San Diego to Pupukea Hawaii with your host Cindie! A hui hou! Find video interviews on YouTube ... See More coming out by March 24.